This is a budget crossply tractor tyre from India's Malhotra Rubbers Ltd, which has been making agricultural tyres since 1989. 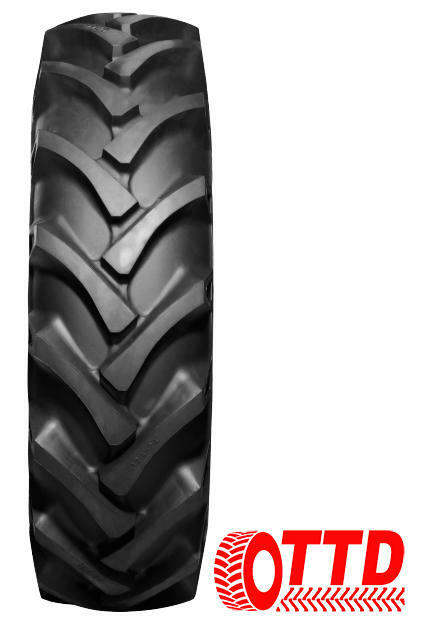 The company's tyres are designed with deep treads to provide excellent traction for general farming. The tyres have a symmetrical lug pattern to eliminate side to side rocking and promote even tread-wear. The 14.9/13-26 MRT338 is a 10-ply tyre designed for a rim 26 inches in diameter and 13 inches wide. Its load rating is 128 (1,850kg) and speed rating is A6 (30km/hr). The outside diameter (height) is 1,330mm.